Check out Sgt. 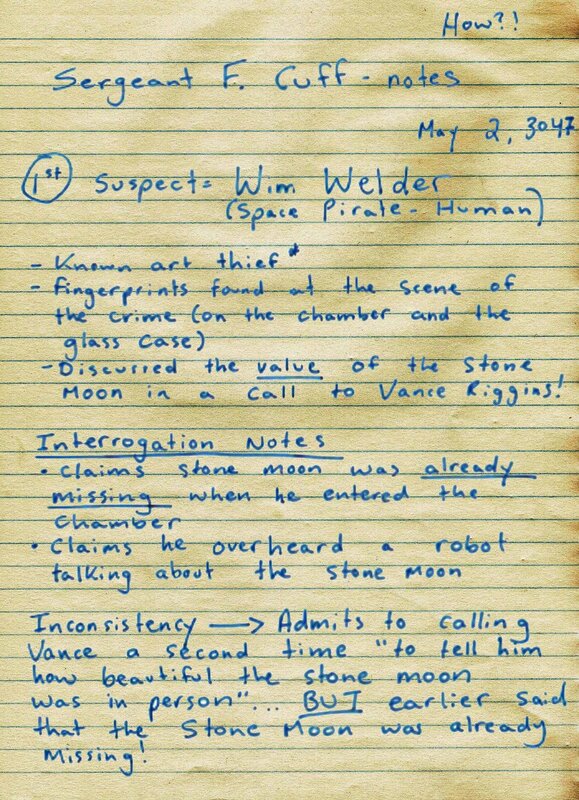 Investigator Frederick Cuff's notes from the interrogation below! He also wrote out some notable inventory items found on the cargo ship, as well as a ship report. If you see anything here that you think might crack the case, send in a voice memo or an e-mail to share@podikins.fm letting us know who you think did it!